As with all Switch ports though, there’s always that simmering anxiety around whether or not the game will make the cut on a graphical level. For me, there has been one studio that has consistently delivered in this regard, and that’s Capcom. 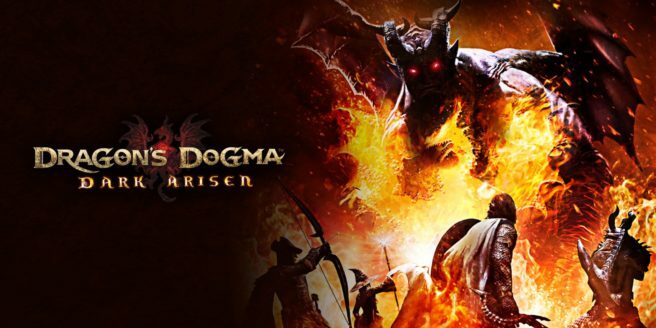 Okami, Mega Man, and Resident Revelations 1 / 2 are all magnificent Switch ports, so when I had the chance to play through the opening hours of Dragon’s Dogma: Dark Arisen for preview, I had a sneaking suspicion that the game was a safe bet, technically speaking. Plot twist: I was right. 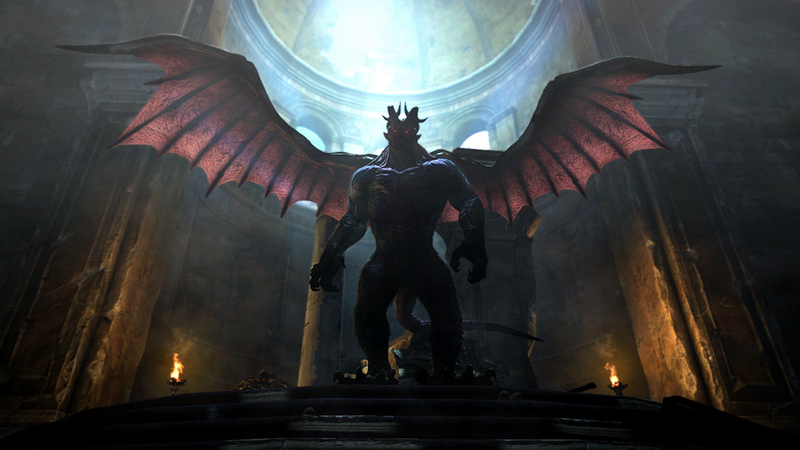 From what I played, Dragons Dogma evoked the urge to once again play jack in the box with my Switch and its dock, and for a lot of you reading this, that will be the biggest question you have answered. Like The Elder Scrolls V: Skyrim Skyrim and Zelda: Breath of the Wild before it, this is a sprawling multi layered action-RPG that has made the leap to the Switch in a truly impressive manner. The visuals look decidedly last gen, but the art direction and world design managed to pull me in to the point where I completely forgot I was playing the game on Switch, and whilst I only spent a couple of hours with Dragon’s Dogma, I’m itching to play more. My time with the game saw me getting to grips with a couple of its key features such as the pawn system. Pawns are AI companions that have their own unique set of attributes and even more unique sets of facial features in some cases. They follow you around, provide you with essential information and they come to your aid during battle by utilizing really solid AI behavior. In the game’s opening tutorial, you’re accompanied by three of them as you take down a variety of beasties that wouldn’t look out of place in a FromSoftware game. Throughout the fight, my pawns healed me, applied elemental buffs to my weapon, and called out any threats that were looming out of view, all without me pressing a single button. This may be a last generation title, but the pawns really stood out to me in the best way possible. 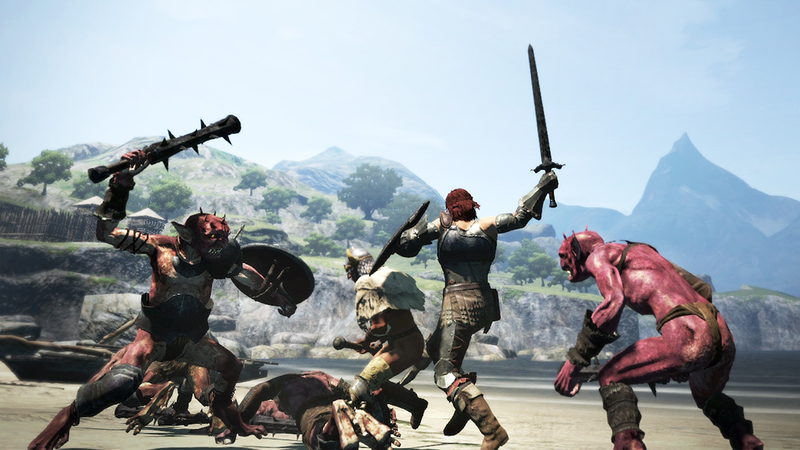 Combat is another area where Dragon’s Dogma really shines, as it manages to carve out its own happy medium between the brutal technicality of the Soulsborne games and the hack-and-slash euphoria of something like Ninja Gaiden. Attacking is split between light and heavy on the X and Y buttons, with variations thrown in if you’re holding L or R. Sounds confusing, but there’s always a handy tool tip on screen that displays your options depending on what button you’re holding, which minimizes the need to constantly memorize what moves you have available to you. Some of the foes I went up against were literally 25 feet tall, and that’s where the next ace in the hole steps in – climbing. By jamming ZR, you can latch on to almost any enemy larger than you and shuffle your way around its body as it tries its best to get you to role play as an airplane. From the few occasions I got to try this out, it was equal parts hilarious and intense, and as I scuttled across the belly of an ogre taking potshots whenever it stood still, my pawns were using the opportunity to buff me and swipe desperately at the monsters ankles. It was like Shadow of the Colossus with a knowing sense of humor, and it was great. The game’s narrative also seems solid at this early stage, with a massive dragon falling from the sky at the beginning of the game, stealing my heart, and then me setting off to go and get it back. This is punctuated early on by numerous side quests I could pick and choose from, and although none stood out as story telling masterworks, they were all solid and mostly just provided me with more opportunities to hit stuff and get better gear, which so far has been the absolute core of the experience, and I’m eager to see more. From what I’ve experienced, Dragon’s Dogma: Dark Arisen is shaping up beautifully on the Switch. As with almost every other Capcom game released on the system so far, the transition has proven hugely successful. Many of the graphical quirks that existed in other console versions of the game still exist here, but they haven’t taken away from the time I’ve put in to what is now my most hotly anticipated third-party Switch game this year. What’s that? I’m reviewing the game too? Excellent.